Tiger is a very companionable cat, accompanying me on many a photo shoot no matter the weather. He claims to be the true photographer’s assistant, not Buttercup. Tiger is sure you have noticed that he is also infinitely more photogenic than a mere brindle dog, although he acknowledges that it is occasionally necessary to shoot her, too, if only to assure her protection from coyotes and other dangers. He does consider Buttercup a friend. A useful, large friend. Just not quite as good a photographer’s model as a green-eyed tiger cat. 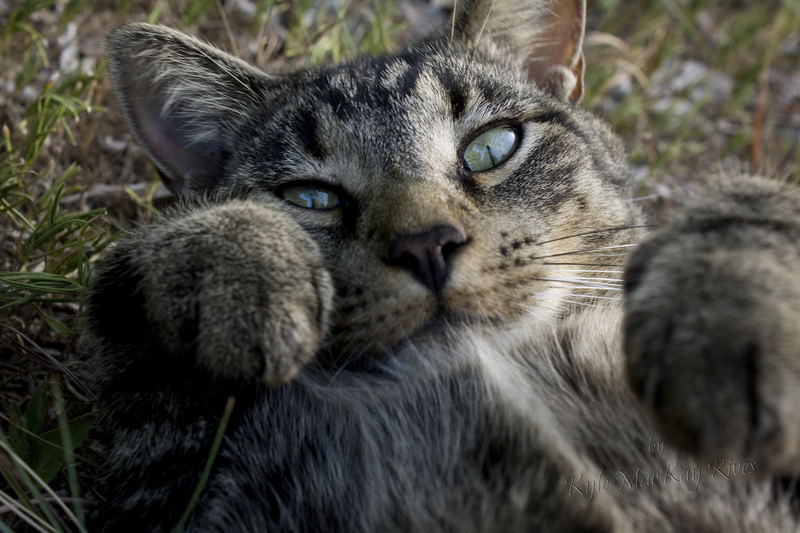 This entry was posted in Pet Portraits, photography and tagged cat, pet portrait, photo, Photograph, Photography, Tiger. What a beautiful cat! What breed is he? Thanks, I’d love to have a cat like that. Great blog, by the way – love what you do with sunlight!